Iron Chef Masaharu Morimoto brings high end Japanese cuisine, served in a breathtaking environment to Philly’s Washington Square West. The restaurant’s extensive menu features diverse offerings from high quality sushi and sashimi to traditional Japanese entrees (think Ishi Taki Bop) to contemporary cuisine like the Black Cod Miso. The ultramodern atmosphere with its dramatic nautical curves and out of this world lighting provides a stunning setting for anything from a business meeting to a girl’s night out. At Morimoto guests are encouraged to enjoy a uniquely crafted meal, designed by a seasoned master and served amid fantastic decor. Stephen Starr and Masaharu Morimoto are the dream team behind the Japanese powerhouse Morimoto, located in Philadelphia’s Washington Square West. Starr, restaurateur extraordinaire, is also the man behind a number of other restaurants that seem quintessential to Philly’s modern dining landscape, such as Alma de Cuba, El Vez and Buddakan. Since the opening of his first place in Philly, The Continental, in 1995, Starr’s urban, unique and global feeling restaurants have helped define Philly’s still evolving restaurant scene. Masaharu Morimoto began his culinary career with his own sushi and kaiseki restaurant in Hiroshima in 1980, later moving to the US where he became head chef at the world-renowned Nobu. It was by leading the culinary team at Nobu that Morimoto got his start on Iron Chef, the original Japanese series, eventually becoming Iron Chef in the more domestically popular American version. He, along with Starr, opened Morimoto on Chestnut Street in 2001. Morimoto would later go on to open this namesake restaurant in both New York City and Boca Raton, but Philadelphians rest assured, this is where it all began. Located on commerce laden Chestnut Street, just a few blocks from Philly’s famed Liberty Bell and Independence Hall, Morimoto is surrounded by locals and tourists alike. Despite the ample foot traffic, this is not the kind of place you just stroll into. Reservations are highly recommended even for lunch, when the place is usually packed with a local business crowd. A younger, hipper crowd filters in once the sun goes down, sharing the space with local and out-of-town expense accounters in suits. The interior of the restaurant is, in one word, mesmerizing. Everything feels like it is in motion. The walls, sinuous and undulating in design, make you feel like you’re riding a wave. 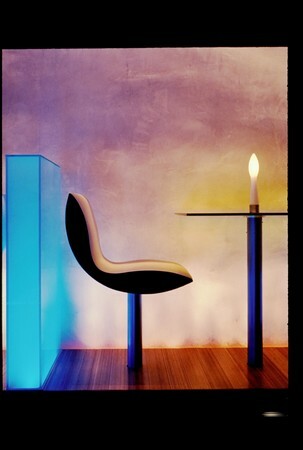 The translucent booths, all the tables in the main space are booths, are lit up in a fuzzy, almost otherworldly glow. 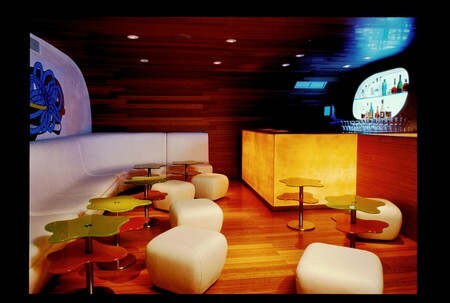 The ultra modern main room is large in size, seating about 150 people, but massive in feel, like being on a spaceship. Speaking of out-of-this-world, a small window on the second floor that channels a Star Trek-type control room is really a private room that seats up to 17 guests. 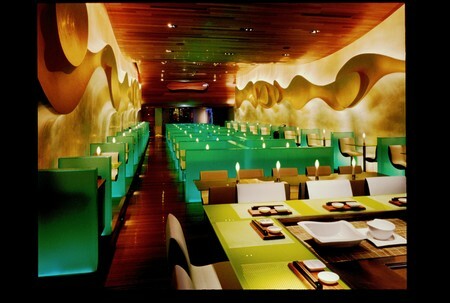 Morimoto’s stunning space is worthy of any special occasion or event. Morimoto’s drink menu is extensive and well thought-out. There are over 20 sakes by the bottle as well as glass and carafe options, and even sweet sakes or digestifs for dessert. Bottles range in price from $50-$220, while carafes, starting at $18 are a more manageable price for some. 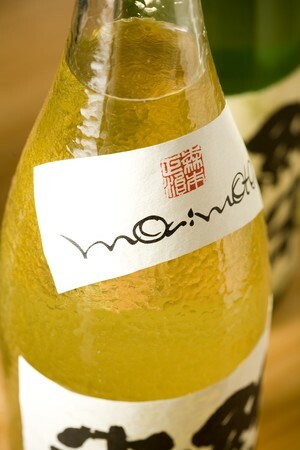 Morimoto even has his own signature sake, one of which we ordered at the suggestion of our server. Vivid descriptions of the beverage’s taste and texture follow each name. Wines by the bottle number in the hundreds, hail from around the globe and range in price from $45-$360, while by the glass options are also available. 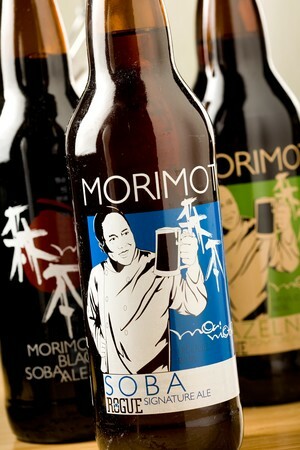 There is a selection of domestic and international beers, including a few Morimoto signatures. Additionally, hard alcohol is served by the glass, most notably the esoteric Suntory label whiskey from Japan. And of course, signature cocktails are ubiquitous, especially at nighttime. From sushi and sashimi, to hot and cold appetizers, to specialty entrees, noodles, an omakase menu and more, Morimoto ensures that guests will not leave hungry. My dining partner and I decided to try one or two dishes from as many categories as we can. This deed turns out to be easier said than done. For the quality of the food that Morimoto offers, the specialty fishes and meats, many of which are imported, you are getting your money’s worth at every turn. One way to at least control costs, if not keep them low, is to order the omakase, or chef’s tasting menu, which starts at $80 per person. This multi-course experience, with hand selected dishes, is optimal in gaining a real sense of what the Iron Chef is capable of. We however, want to select our own menu, with the guidance of our affable and knowledgeable server, who helps us pick dishes she thinks best represent Morimoto. Our first dish is Whitefish Carpaccio; thinly sliced with yuzu soy, hot oil, and mitsuba leaf. The dish is plated simply in thin slices on a round plate with the leaf placed in the middle and the sauce ladled on top. The quality of the whitefish is apparent from its tenderness and taste. 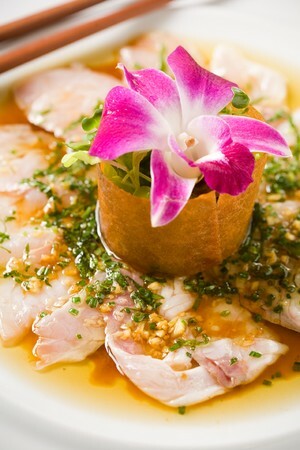 The yuzu sauce is light and piquant, subtly flavoring the mild fish as opposed to masking it. Our next dish, Dobin Mushi, or ‘Steamed Soup in a Pot,’ with shrimp, chicken and mushrooms is served in traditional fashion, out of a pot with a spout. You pour the broth into a cup before scooping out the goods with a ladle. As soon as I lift the lid off the pot and get hit with the pungent woodsy mushroom essence of the clear broth, I know it will be good. Delicious is this fragrant soup that is all at once smoky and earthy yet delicate, consumed in a grateful silence by two non-soup lovers. This may turn out to be the surprise favorite of the evening. Next up is Ishi Yaki ‘Buri Bop,’ bop rice in a hot river stone bowl with buri (king yellowtail). Ishi yaki is an ancient Japanese method of cooking something, usually meat, on a very hot stone. Bim bop is a Korean meal of mixed ingredients in a bowl. So basically this dish is a play on both, as a hot stone bowl is comprised with mixed ingredients, namely rice, vegetables, in this case fish, and a raw egg on top. Our waitress cooksd the fish tableside by pressing each side against the stone, searing it to our preference. Then everything is mixed together, and the egg is cooked by the heat of the bowl, creating a sort of fried rice. The yellowtail is buttery and meaty, standing up to the heavy rice. This tasty and hearty entrée provides some necessary sustenance and a fun experience as well. Black Cod Miso with su miso mustard is next, plated dramatically on a stark white plate with the miso mustard drizzled artfully around. This cod seemed to be Morimoto’s nod to his Nobu days, the birthplace of this dish, that has since seen countless iterations. Morimoto’s version is everything you’d expect from a miso cod; crispy and sweet on the outside with a thick and meaty interior. For our last savory course, my guest and I are graced with the “Chef’s Combination”: sushi, sushi rolls and sashimi. If you are going to get sushi and are not ordering the omakase, I would highly suggest going with one of the chef’s combinations. The pieces of sushi and sashimi range from kampachi to Spanish mackerel, fluke, fatty tuna, sea urchin, octopus and more. The quality of the fish is simply top notch, and just as important but little noted, the rice is also meticulously managed. Not cold, expertly seasoned and doled out in the ideal amount for each bite. Rolls include Spicy Tuna and Soft Shell Crab, both of which are generously portioned and as delicious as a roll can get. Sushi from the Iron Chef is not to be missed. 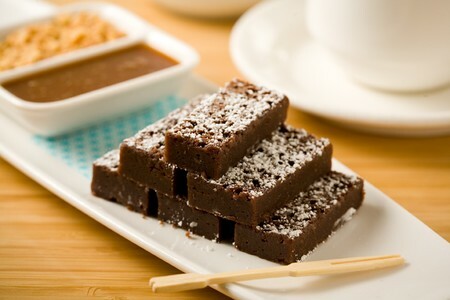 Just when you think it’s over, Morimoto pulls out a two-page dessert menu, complete with digestifs, various fusion delicacies, coffee from Philly’s famed Colombe and more. We conclude this epic feast with two different desserts, but can only bear a bite from each, lest our stomachs explode. Chocolate Pot de Crème, chocolate custard, caramelized banana, with lightly whipped cream is nothing short of decadent. The Green Tea Tiramisu is its delicate counterpart, with matcha mascarpone and shochu soaked ladyfingers, a delectable combination of East meets West on a plate. Stephen Starr has succeeded again, with the help of a Japanese master, this time in creating one of Philly's finest, and much needed, high-end Japanese restaurants. 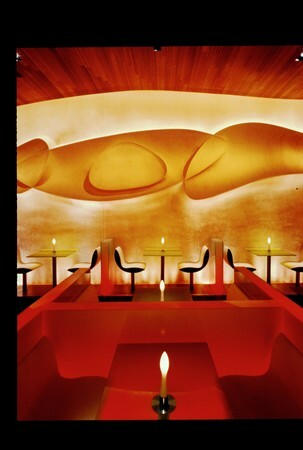 The cuisine, peppered with fusion and innovation, lends a gastronomical experience so unique it could only be called Morimoto. The stunning ultra modern interior is reason enough to visit and perhaps one of the most impressive of its category in the city. Insider Tip: Street parking can always become frustrating; it's just the luck of the draw. So don't even risk it because Morimoto offers the pleasant convenience of valet parking beginning for dinner service at 5:00 p.m.
Main Dining Room | Lunch 11:30 a.m. - 2 p.m.
Main Dining Room | Dinner 5 p.m. - 11:45 p.m.
Do you require ties or jackets? Do you have other locations besides Philadelphia? Yes, Morimoto also has a location in New York City. Yes, valet parking is available nightly starting at 5pm for $15/vehicle. 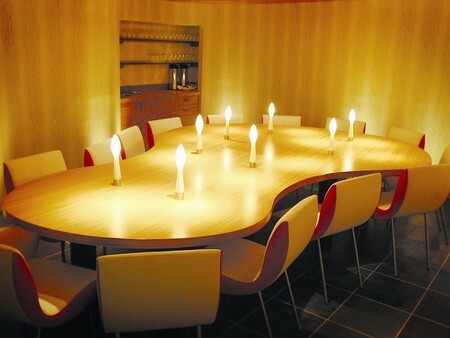 What type of seating is available at Morimoto? There is regular table seating as well as seating at the sushi bar. A carefully chosen selection of beverages paired with each course of our chef’s tasting menu. 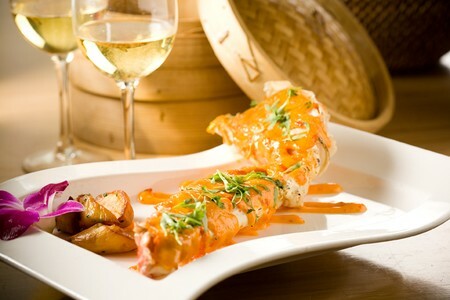 Great ambiance, excellent food & service and great drink menu. Great place to go on a date or with a group, a philly must see! Food and service was excelent. I will go back when I am in Philly again. I wanted a special dining experience for our anniversary. After searching the web for Philly restaurants, I decided on the Iron Chef. Having very little experience with Japanese cuisine, I was a little uncertain if my wife and I would be comfortable with the food preparation. We both ordered the Chef's Selection. This was absolutely the very best dining experience that we have ever had. This was our 39th anniversary so we have dined around a bit. The food, whether cooked or raw, was fresh and delectable. The unique preparations were very pleasing to the palate. Morimoto's is now at the top of our list. A little pricey though, so it is reserved for special occasions. The atmosphere in the restaurant was lively and friendly. From the hostess to the server, everyone greeted you with a smile. The servers would explain every dish they brought out to our table, which makes the experience more enjoyable because you know the dish is fresh and the servers know what they are doing. The restaurant itself is very pleasing to the eye. The dinners we all thought were superb. I would highly recommend trying the koby beef it melts in your mouth.All of us enjoyed everything from the appetizers to the deserts. We had six people at a booth toward the front of the restaurant. We all had an appetizer or soup and loved everything. My husband and I had the tempura sampler. Very unique. I had the duck duck duck entre' and it was amazing. Duck can be difficult and is often dry. This was perfect. If I get back to Philly I'll definitely be back at Morimoto. Only negative is that it was loud and difficult to hear the end of the table or the waitress. Love the decor. a gem hidden in Philadelphia, excellent food. Great service. The entire experience was fabulous. The food wonderful and the ambiance amazing. Simply one of the best dining experiences I have had. Every detail from the sushi rice to the sauces to the quality of the fish were excellent. What a great experience! The ambiance, the food and the service were all fabulous. Having been to a number of 'celebrity chef' restaurants, and having endured a few with food and service no better than a chain restaurant, Morimoto's was a breath of fresh air. The waiter and even food runner were extremely knowledgeable and answered all of our questions. Even the lighting was perfect, not too bright or dark! The decor of the restaurant is beautiful. The entire staff was knowledgeable, friendly and responsive. The sampling menu was small portions of wonderful dishes. Can't wait to go back and sample some more! This place is awesome. The moment my wife and I were greeted at the door and gazed upon the cool layout, we knew tonight would be a significant achievement. I have read the ambiance is worth experiencing, it's all true. However, the food is going to smack you into a reality of what you've been missing and will leave you craving for another visit. We had a wonderful time! 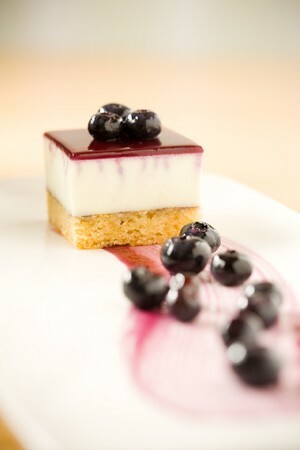 The food was fantastic, as was the service and the overall atmosphere of the place; very young, innovative, and inviting. We like venturing outside our "food comfort zone," and this was the perfect place to do so. We recommend it very highly. Outstanding experience and food. The whole experience lived up to the "iron chef" expectations. The server was knowledgeable, helpful and accommodating. A true quality experience. We'd go back to the restaurant whenever in Philadelphia. Great ambiance with delicious and beautiful platters. We are a novice sushi and Japanese style foodies and were very pleased. I did the the mid range Omakase dinner and everything was brought out and described very well. We did put limits on what we would prefer not to try and they were very respectful of that. They did help us along and taught us some lovely new styles of sushi including but not limited to Amber Jack and Orange Clam. My Life Partner thoroughly enjoyed her Salmon Carpaccio and Scallops. The service is perfect, and the food is tasty and not too filling. Restrooms, and a private room dowstairs, have a Zen feeling and look. The atmosphere of the restaurant was fabulous. The lunch menu was a delightful surprise, and you get a great value for the price. Some great, some good, some acceptable. At $120.00 for typical tasting menu portions, this was above average for similar scenarios. The food concepts were very good. 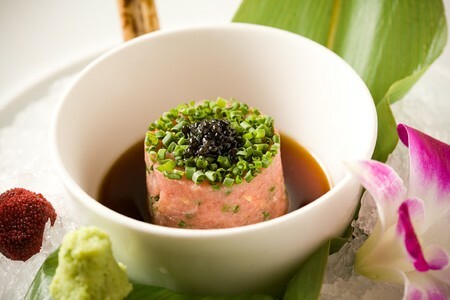 The first course of caviar topped tuna in a ponzu sauce was really tasty and had great textural contrast. Scallop was delicious. Not being a big short-rib fan, this one had a great flavor. Cheesecake was within reason. Service staff was okay. Definately not foodies themselves-- this is a temporary job, not a career,a calling, or even a hobby. While I understand that's the case, it would be nice to not have it be so in-my-face obvious. The ambiance and food were excellent! Me and my picky colleagues all enjoyed ourselves and would go back again. bigger bites for the bang. I enjoyed the general feel of the restaurant and even though space was tight in the booth we occupied it didn't feel claustrophobic. the waiters and such were fine and explained all the entrees before serving them, which was nice. but for the price, I don't know maybe it's just me, I enjoyed a place like Minato much more. Which is a sushi buffet, and i don't usually like buffets. Additionally, I went there with a woman who broke up with me about 2 weeks prior, so I'm not really sure I can provide an objective examination of the restuarant, because honestly there's not a lot that can be more distracting. I'd say if you like pricey restaurants with a nice atmosphere and your date is into blowing a good amount of cash for a meal, and perhaps the warmth of some sake (god, that sounds good right now), then this is a great place to go. The restaurant staff moved our reservation without notifying us and refused to seat us. If this is any example of the service they offer I would not recommend it!